Culver’s and DFA are among the sponsors to be honored with the Distinguished Service Citation this year at the National FFA Convention & Expo, held in Indianapolis Oct. 24-27. Culver Franchising System of Prairie Du Sac, Wisconsin; DFA – Dairy Farmers of America of Kansas City, Missouri. 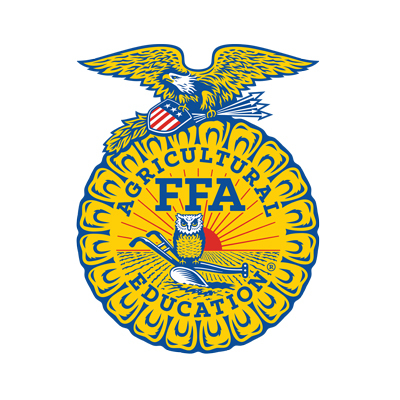 ; and Lincoln Electric/The James F. Lincoln Arc Welding Foundation of Cleveland, Ohio, will receive the citation for their outstanding contributions to FFA and agricultural education on the national level. For the past six years, Culver’s has been a key partner with the National FFA Organization. The company not only supports FFA at all levels – local, state and national – they continue to elevate awareness about FFA in their restaurants and introduce their customers to the organization. Much of their in-store fundraising happens at the local level, and they also connect restaurants with local chapters so they can supply one or more FFA jackets per year. In addition, their overarching campaign, “Thank You Farmers” highlights the importance of family farms, knowing where your food comes from, and the importance of agricultural education. DFA – Dairy Farmers of America is celebrating 45 years of support to the National FFA Foundation. Through their values of providing leadership, support, and assistance to youth pursuing education and careers in agriculture. Their support of the Milk Quality and Products Career Development Event is just one way they strengthen FFA members in their knowledge of quality production, processing, distribution, promotion, and marketing of milk and dairy foods.